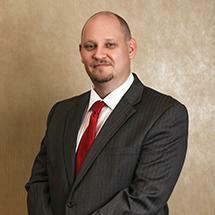 Scott Eldridge is an associate in the firm's Tampa office. Mr. Eldridge practices in Personal Injury Protection, and is experienced in the area of Worker's Compensation Litigation. He received a Bachelor of Arts Degree with Honors from the University of Florida majoring in Political Science. While at the University of Florida he was selected for membership in The University of Florida's Blue Key Organization, its highest Leadership Honorary as well as the Order of Omega for service on an off campus. He received his Juris Doctor from Stetson University College of Law where he was an active participant in Stetson's award winning Trial Team preparation, as well as serving as a Resident Advisor aiding handicapped residents with their daily activities. Honors and distinctions include Honor Roll. Mr. Eldridge is admitted to practice before all State courts within the State of Florida.